Taking advantage of Zoom! 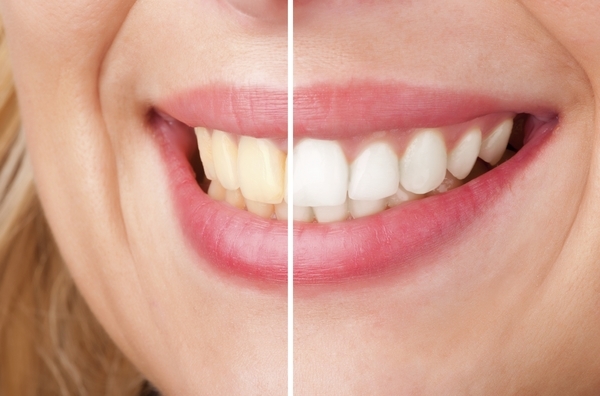 teeth whitening in our Poughkeepsie office can help you to create a brighter smile in as little as one hour. Even if you take care of your teeth with a daily routine of brushing, flossing, and rinsing, the aging process and some kinds of food and drinks can cause staining and discoloration. Because your smile is one of the very first things that other people are going to notice about you, Zoom! is a great way make the best possible first impression. With professional Zoom! teeth whitening, Poughkeepsie patients can enhance their smile by significantly whitening their teeth. During your initial consultation to discuss Zoom! teeth whitening, Poughkeepsie dentist Dr. Manish Bhalla, assesses whether or not you are a good candidate for this type of whitening treatment. Together, the two of you can determine if Zoom! is the best option for your smile. What are the advantages of Zoom! Teeth Whitening compared to at-home methods? Unlike take-home whitening trays that work over the course of several weeks, Zoom! Teeth Whitening can produce a dramatically fresher-looking smile in as little as one hour. In one visit, your teeth can appear up to 8 shades whiter. Dr. Bhalla will provide you with complete care instructions as well as a take-home kit for touch-ups so that your smile retains its sparkling appeal. How can I maintain my fresh smile? It is important to realize that you’ll be encouraged to make certain changes in your behavior if you want to maintain the new brightness you have achieved through Zoom Teeth Whitening in Poughkeepsie. Dr. Bhalla will ask you to monitor the types of beverages that you drink and to avoid smoking. If you have any questions or would like to schedule an appointment to discuss Zoom! teeth whitening in Poughkeepsie, please contact our office or make an appointment online.